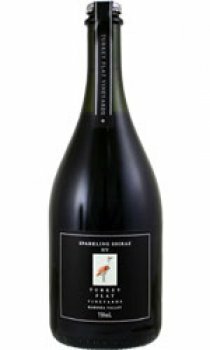 Every spring Turkey Flat select a few of their finest barrels of Shiraz to become base wines for this bottle of fermented sparkling wine. Base wines are matured in seasoned French oak hogsheads for up to three years before being tiraged in the traditional champagne method. Following this second fermentation the wine is left to mature in the bottle on lees for 10 months before disgorgement and liquoring with very old Australian vintage port (ranging in age from 14 to 40 years).